GreenBeanTeenQueen: Who Knows You Blog? So I was thinking the other day about how blogging is somewhat solitary. Sure, there's the blogging community, but that's online and I don't engage in conversations with other bloggers on a regular basis. We leave comments, read what others have written, and sometimes will participate in book chats. But blogging at times can be very solitary. I blog by myself and even though people read what I write, I blog mainly for myself. Readers in the blogging community know me, but I was thinking about how odd it is that my blog is such a big part of who I am and my life, yet very few of my friends and co-workers know about that part of me. They know I'm a teen librarian, they know I love to read, and some know I blog, but if they don't have an interest in YA lit (and really-they should! :) why would they know about or care about my blog? It's strange to me that so many people in the online world "know" who I am, yet people I see on a daily/weekly basis don't really know about this part of me. I'm wondering if those around you know about your blog or if you keep it to yourself? Do you sometimes feel like you have two lives-one online and one in person? I don't tell many people. I started out with a personal blog first, but get way more activity on my book blog now. Most of the people I know where I live do not know I blog or if they do, dismiss my book blog as "young adult" or "kid lit." I am okay keeping this side of me to the internet. I've only been blogging since January but I have told a few people about my blog. Most don't really read blogs or don't care. I have one friend who has a blog but hers is about her experiences with fibromyalgia and personal stuff rather than a book blog. She does read my posts but I'm sure it must be boring for her because we don't like the same type of books. My parents know but aren't really interested and some of my former library coworkers know. I guess it is okay with me that it feels like this is a secret aspect of my life. I am a really shy and quiet person by nature so my blog is a comfortable way for me to connect with people or express myself. I've had a few people in my everyday life mention something on my blog, and I'm always surprised. The blogosphere andr "real life" feel like two very separate worlds. I think pretty much everyone who knows me, knows I have a blog. A lot of my friends will mention a book they saw on my blog and tell me they read it on my recommendation and loved it too. That's always cool! Of course a lot of my friends only come on Tuesday to see the cats! I feel the same way about the duel lives. And honestly, it's even worse for me in that I go by two different names; I rarely ever use my nickname in real life. I always joke that you can tell how you first met me by what you call me. Most of my family and friends know about my blog. So do my coworkers. I'm always talking about books I like, and when they ask me for recommendations I give them a bunch and then tell them to check out my blog for more. I actually kept it to myself in the beginning. But then recently, especially after I wrote in memory of a girl who died in my school, more people started to find out about it (they searched her up and my blog where among the first to show up on google). Also, when I got twitter, many of my classmates added me. Because I use twitter to interact with my followers, many would see my links to my blog. I do kind of feel like I have two lives sometimes. I have maybe four friends who know about my blog, but that's it. I started blogging for me; I didn't really feel the need to share. All my friends know that I blog, mainly because they all have their own blogs too. Many people I know who I consider good friends know I blog and yet...they do not read my blog. I don't know why that is. Mostly I think they'd rather "visit" with me on Facebook, which I don't do. I started my blog so share my love of reading with others and as a way for me to write about what I read. Did I mention how much I LOVE to read? I have found so many nice people on Blogger and Twitter. I have started telling my friends at school that I blog and giving them my blog address too. I've had a blog for almost a year and still haven't told a lot of people that I have it. It took me awhile just to tell my family about my blog then they starting telling other people. Actually, none of my friends know I have a blog because I like to just keep it to myself. I started my blog to practice for work and ended up loving it enough that I want to keep it up (time allowing). My best friends (who are incredibly tech savy) helped me set it up and are my emergency tech people; but it's not really a thing I tell people about myself. Only a very small handful of people know that I blog. A close friend used to proofread my reviews before school started to interfere. Another friend also told me how different my "voice" is from real life and blogging life. I'm very hesitant to tell people I blog because blogging isn't something people really do. It's also the fact that when my told me how different I should, she laughed a bit and that just put a wall for me. I'm a private person; what I do on my free-time isn't something I would want the whole school to know. My husband knows and he doesn't care too much and never mentions it. And some of my ex-co-workers know and use my book blog for recs which is nice, but I haven't actively gone out and told people I know IRL about it. My friends tease me about it, but I don't mind. I'm so glad to be a part of this world. But, definately, it's mostly for me. Just something I love to do. I definitely feel like I am two people, the one who blogs and the one my friends and family know. Ironically, my blog is connected to my Facebook account, and they still don't think of me as a blogger. In fact I have even thought about disconnecting the blog from FB because I don't want them to to put down or discount the work I put into my blog. The only reason why I haven't is because one of my facebook friends, who was actually a coworker of my husband mentioned that she loved reading my reviews. But to the rest of my friends, my blog is like another identity--they don't associate me with my blog. It is lonely. A few of my friends know but I don't broadcast it one facebook or anything. My parents know but really only five or so other people do so I pretty much keep it to myself. I think just because I like keeping the two lives seperate and I don't want to worry about who's looking at my blog and what they think. I'm actually shyer on the internet than I am in real life, so I have no qualms about telling people I know all about my blogging. Some of my friends are followers of my blog, and I give out YA recommendations all the time. Even my boss (male, in his forties) read Malinda Lo's Ash on my recommendation, and loved it. Although I can understand why some people would like to keep this part of their lives separate from the rest, those who are willing to share it just might find that it gets their real life friends interested in YA novels too. You know what's funny everyone seems to think about the same thing. I personally feel like my blog is the real true inside me. It's what's coming from the heart, so I think there's a reluctance to tell people you see and talk to on a daily basis. I think you talk to people at work and it's a superficial chat, like you are maybe afraid to speak too freely and they will dislike working with you or feel uncomfortable with certain subjects. Your last sentence summed it up perfectly. Sometimes I really do feel like I have two lives, one online and one in person. Truly. 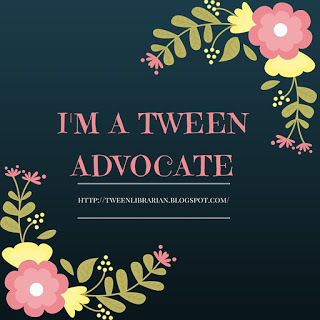 Very few of my real life people know about my blog but this April I presented at the Colorado Teen Lit Conference and I told a group of 75 random strangers about my blog and how I participate in the YA Blogosphere. For some reason, it's much easier to tell that to strangers than to my coworkers or friends and family. Plus, some of the people I know still scorn blogging as a medium so I don't want to deal with that issue. I don't usually bring it up unless it somehow comes up. I have one friend that checks my blog sometimes, and a couple others know about it. I'm trying to figure out how to really connect my blog self with my day-to-day self. Like Drea, I don't even go by the nickname "Lea" in real life, but I use that on my blog. I definitely feel a bit weird when someone I know says they went to my blog, because it just feels so personal. I'm more honest on my website, and more outspoken than I am in life. Exactly! I've been planning a post on this as well (more of a 'reasons why I don't tell people" sort of thing). Like many people who've already commented, I would say that I keep it on the DL mostly because my friends aren't big readers and I don't think they read blogs. I wonder how many readers know book blogs exist? I feel like a newspaper should write about them, because some people may appreciate knowing book blogs are out there. I didn't know book blogs existed till May of '09! I only went on because a book I was reading had some online content and a resource was a link of reviews of the book. i clicked and BAM! The world of book blogs was opened. I do recommend Twitter because it makes things so much less solitary. At first I didn't want one, but it makes it so much easier for me to talk to other bloggers and followers who comment. It's a lot of fun. Right now, just my friends know. I do advertise my blog on certain sites, such as Random Buzzers. I try to promote it everywhere. If it ends up being part of a relevant conversation then I mention it, otherwise I don't. I do that with a lot of stuff in my life, though, not just my internet stuff. I did mention my blog to a couple people at work but I was talking about BEA. I haven't started a blog yet, but hope to this summer. As an attorney, I can see that my two worlds won't meet that much. Hopefully my writer friends will visit my blog though. I've been blogging for 3ish years. Until last year, no one knew! My fiance found out and now he follows the blog but doesn't really have an interest in children's lit (other than Harry Potter!). A few co-workers know, via my Facebook feed. Otherwise, I rarely bring it up. Like you, I have a real life and online life! Everyone in my immediate family knows I blog. Not all of them follow it regularly but they are aware of it. My friends and family know that I blog, but (as far as I know) they have not been on it or even checked to see what it looked like. I've been blogging since last January and very few of my family and friends no I blog. They just don't read why YA and if I were to tell them, they'd probably be very confused about what it is! Most of my friends probably know more about my blog than they want to know. It's not because they read it, but because I talk about books constantly and mention it frequently. I do post my reviews on Facebook causing my friends to comment about the number of books I read. Basically, I blog for myself, though, and for my students. More and more of them read it and pick their reading selections based on some of the reviews. It fun to chat with them about what they are reading and what I'm reading. I have two blogs: one about books, and one about life on the farm. You would think that the book-blog would be more publicly associated with me, but nope: even my librarian friends mostly read the farm blog. So, I'm clearly not a closet blogger--I blog FOR my readers, even the readers I've never met in person. In return, they prompt me to move outside my comfort zone to find interesting content for my blog posts! AareneX-I like what you said about your readers pushing you to find interesting content for your blog. Even though I might now know my readers in real life, I still want to find great things for them to read and discover. I think as my blog grows it grows into a blog that's for me but I also think about what I can share with the people who take time to read it. I usually feel like I am writing to myself! When I look at my stats (which are very very very low)I always wonder about who actually stopped by and how they found it. Sometimes it is discouraging, but usually I am ok with it. My sister reads occasionally, my daughter when she remembers and my mother when I write about quilting. As for the rest of my family, I don't think they visit. Hubby will when I ask him to. Extended family, I don't thing that they do at all. Too bad, they are missing out on getting to know more about me. My blog is starting to be this "secret part" of me and in a world where it seems everything is public, I'm fine with this. I originally didn't tell anyone I've worked with because I don't know what the rules regarding being a professional and blogging were but later, I realized I didn't want to share except with certain people and just with readers who stumble upon it. Some people I know through work know and I tell professionals who have questions about graphic novels. My mom and fiance know (he's even listed as a contributor for future ideas) and a few friends know, but I don't know what they think. Overall, I missed being in an online community (I was on a forum for YEARS as a moderator) and this blogosphere provides that so I'm content with an "online self" and a "real world self." I've always been comfortable with that.